Snowflake Chocolate Pizza combo comes with one of the season’s most popular designs. 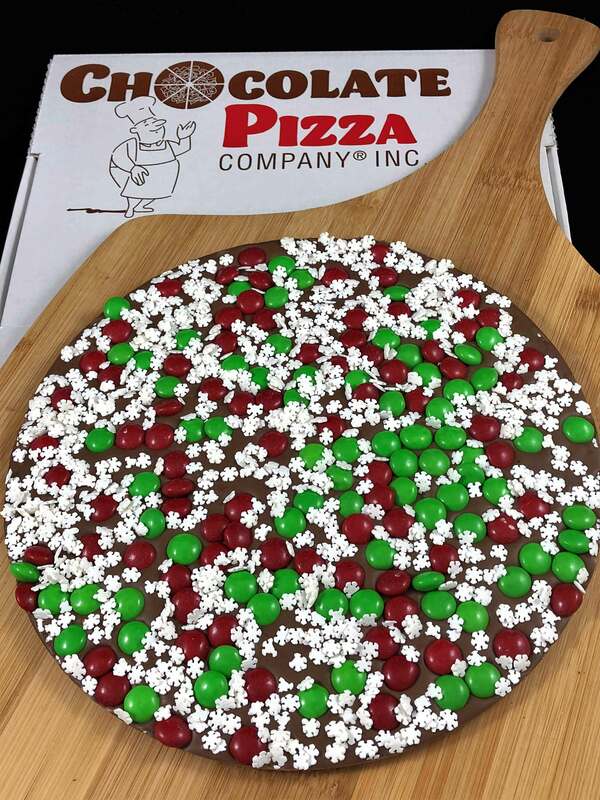 Chocolate Pizza blends the highest quality Swiss-style chocolate in milk or dark with homemade English toffee. They then add red and green chocolate candies and white sugar snowflakes. Served in a custom pizza box (16 oz reg., 28 oz large). 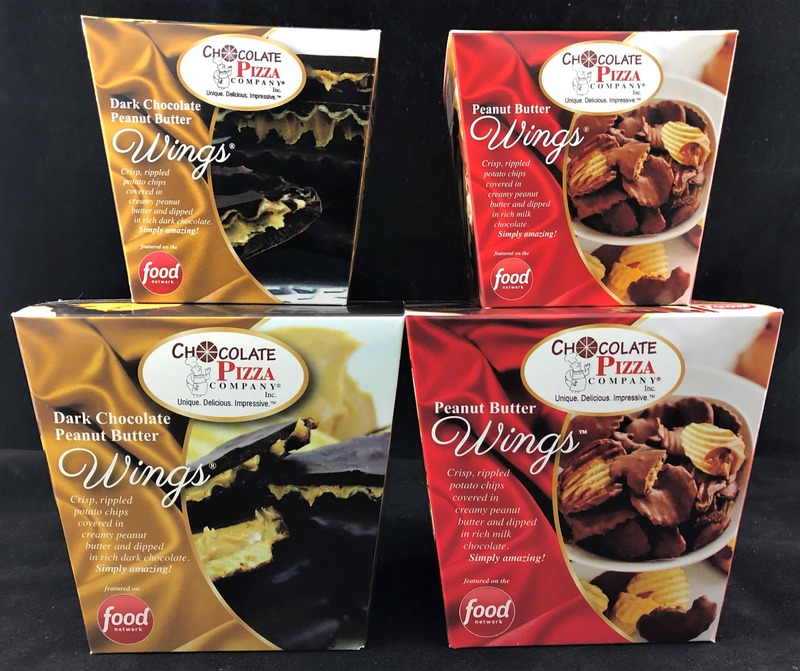 Joining the delicious combo are famous Peanut Butter Wings served in either an 8 ounce or 16 ounce container. The combo is a great holiday gift idea. Peanut Butter Wings are crisp, rippled potato chips covered in creamy peanut butter and drenched in milk or dark chocolate. Wings are available in 8 or 16 oz containers or a 16 oz holiday tin. “Pizza & Wings” combo is certainly a holiday favorite. 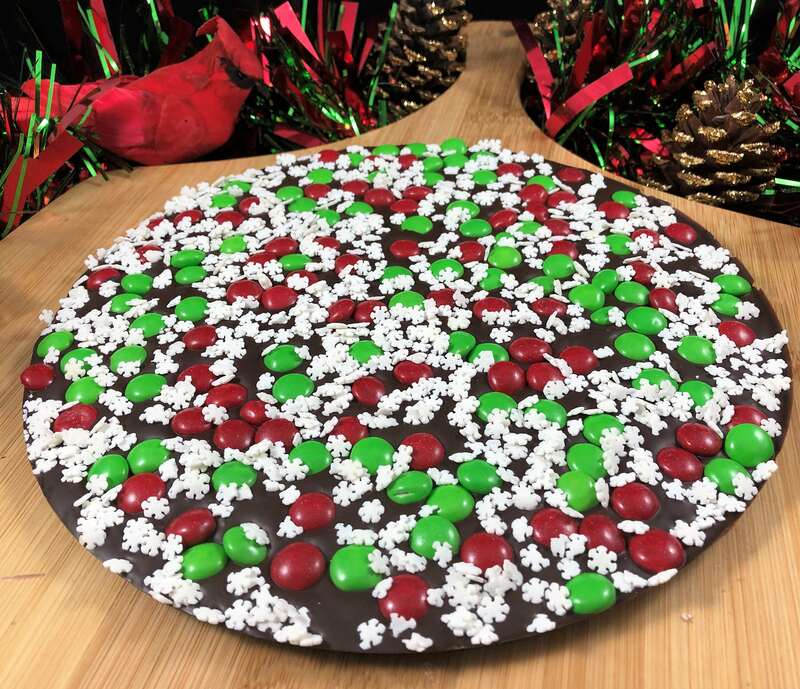 Snowflake Chocolate Pizza combo comes with one of the season’s most popular designs. Chocolate Pizza blends the highest quality Swiss-style chocolate in milk or dark with homemade English toffee. They then add red and green chocolate candies and white sugar snowflakes. Served in a custom pizza box. 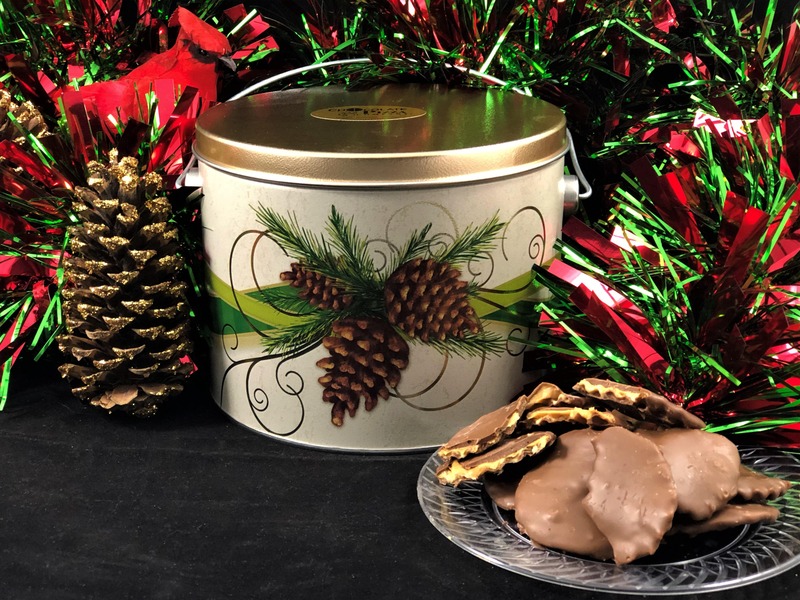 Joining the delicious combo are famous Peanut Butter Wings served in either an 8 ounce or 16 ounce container. The combo is a great holiday gift idea. Peanut Butter Wings are crisp, rippled potato chips covered in creamy peanut butter and drenched in milk or dark chocolate. “Pizza & Wings” combo is certainly a holiday favorite. 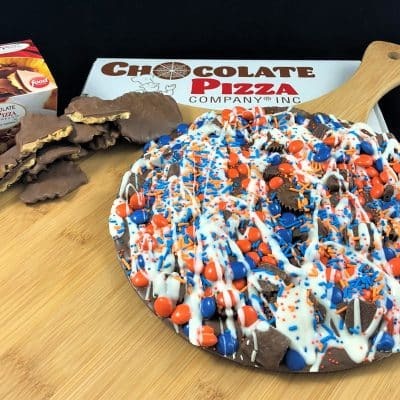 Featured on Food Network, Hallmark Channel’s Home & Family, CMT’s Pickler & Ben, CNBC’s On the Money and in Forbes, People and Entrepreneur magazines, Chocolate Pizza Company and owner, Ryan Novak, have grown to become Central New York’s largest chocolate maker. Ryan started with the company as a dishwasher when he was 15 years-old. In 2010, at age 21 and a senior at Syracuse University, he bought the business. His vision was to transform a small-town chocolate shop into a national brand and his explosive growth speaks to that success. 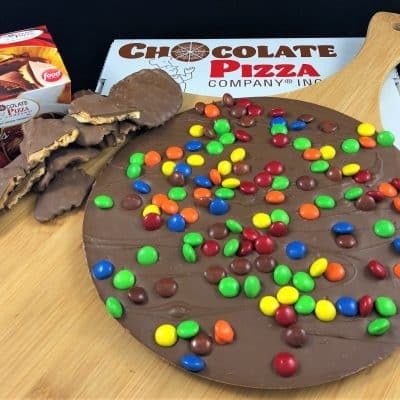 Chocolate Pizza and Peanut Butter Wings are both trademarked because they are so unique. 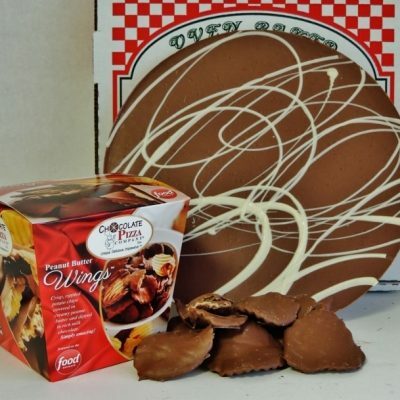 The English toffee used in the Chocolate Pizza is from a local recipe that dates to 1919. Ryan makes it on-site, in small batches for maximum flavor. 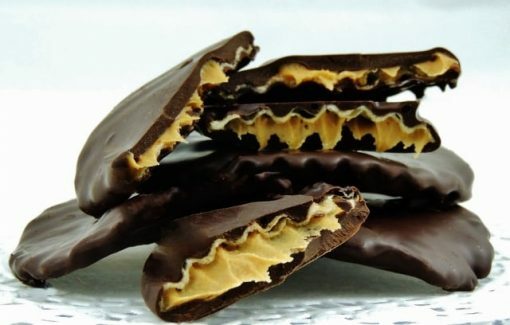 The toffee is cooled, stretched, ground fine and mixed with the tempered gourmet chocolate. Chocolatiers hand-script holiday greetings in white chocolate surrounded by a border of candies or nuts in holiday colors. The custom pizza box completes the whimsical presentation. Peanut Butter Wings are one-of-a-kind. 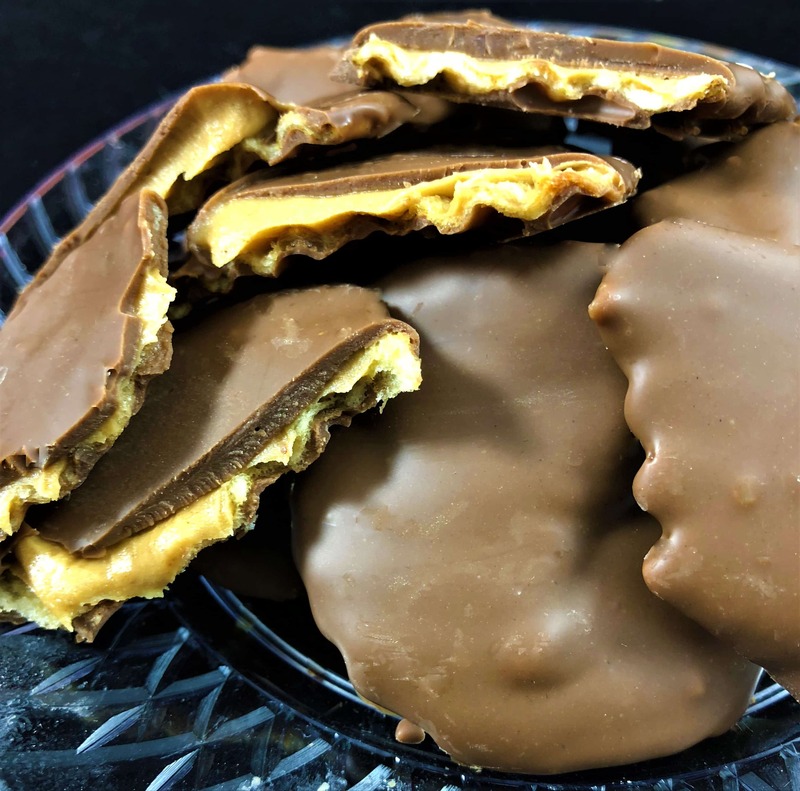 Glitter magazine raves, “You have not lived until you’ve tried these.” The salty-sweet combination of the potato chip, chocolate and peanut butter is a taste experience that no one forgets. 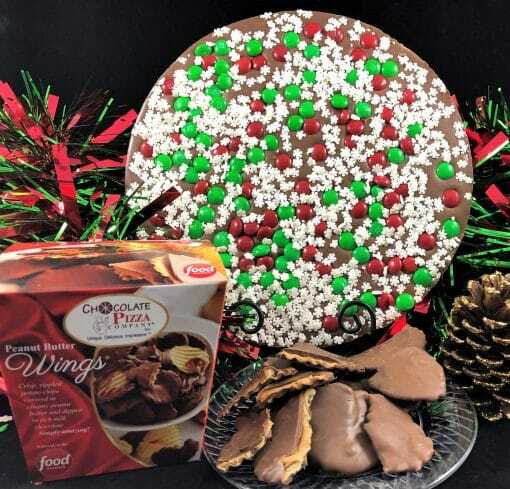 Together, Merry Christmas Chocolate Pizza with Snowflake border and Peanut Butter Wings create a holiday gift choice that is unique, delicious, impressive.